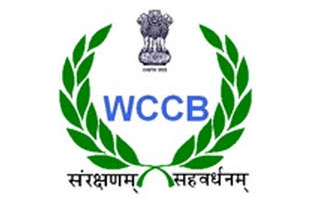 With a view to encourage the participation of wildlife enthusiasts in the country in wildlife protection & conservation, the Wildlife Crime Control Bureau (WCCB) has initiated “WCCB Volunteers Scheme” and intends to enroll volunteers to assist in collection of information on wildlife crime, capacity building, awareness generation etc. To collect information on wildlife crimes and activities of wildlife criminals, and pass it on to the Bureau or other relevant enforcement agencies for requisite action. To assist State Forest Department Officers in building awareness and capacity of stakeholders for combating wildlife crimes. To conduct public education campaigns/programmes on wildlife, wildlife crime and relevant policies and laws. The applicant must not have been convicted of any wildlife offence and also must not be an accused in any on-going wildlife offence case in any court in India. The applicant should be dedicated and committed to the cause of wildlife conservation and should have the means to conduct the duties and passion. The applicant should have good networking and communication skills. The applicant should be able to handle stress. The applicant should be conversant with Hindi, English and regional languages of the respective area. Women are encouraged to apply for this voluntary position. Holding of this position does not entitle one to undertake any law-enforcement actions directly. The applicant has to pass the necessary information to the legally mandated enforcement agencies. The applicant may act as an assistant to an enforcement officer, subject to the approval of the enforcement official, during any operation in pursuance to the information provided by the volunteer. Applicant must fill all the columns in the form and should enclose two reference letters from some Government officials or persons of repute working in the field of Wildlife related issues, with the form. Applicant may send their applications by scanning the filled in forms and mailing on e-mail id: [email protected]. Last date of receipt of applications in the office both by e-mail or post is May 10, 2018. Links: WCCB volunteer scheme and Official Website Link.